Thought I’d pass on French prodigy Madeon‘s latest single “Finale,” as the Dillon Francis Remix just dropped today. It’s party-bangin’, just liked the original. I have mad respect for Madeon, since around the same age as him, I’m pretty far from playing Coachella and Electric Daisy and helping Swedish House Mafia headline. Here’s the Beatport link for the Dillon Francis Remix, and if you missed the original, check it out below. For many of us, this may very well be the coldest weekend of the winter (so far.) Chicago finally got some snowfall, and I realized once again the joys and woes of snow. It’s funny how as a kid, snow was seriously the best thing ever. It meant the possibility of no class. It meant hours of hurling snowballs at your friends and girls you had a crush on. It meant writing your name in pee all over your neighbors yard (well, it still means that.) Now, all it means is shoveling and bad traffic. For those living in warmer climates, I feel bad for your childhoods but I guess at the end of the day, you won. For errbody else: don’t get left out in the cold, heat it up this weekend with today’s Friday At Five. Bring it, snow. So, whenever I am bored beyond belief I go through the most watched videos of the day on a site called YouTube, not sure if you have heard of it. Sometimes there is nothing but makeup tutorials and video games, but other times I strike gold. I found a fan-made music video of Madeon’s internet hit”Pop Culture” which is a live mashup he made and put on the site YouTube, the one i referred to earlier. The video is hilarious and the song is one of my favorite mashups I have ever heard, period. 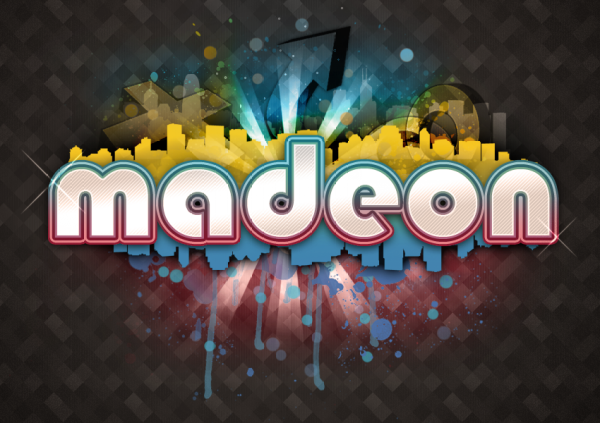 Madeon combines 37 of his favorite song’s into one epic tune. Here is the music video and the original live mashup version. I will also throw the MP3 because I love you guys. After posting Madeon’s remix of Yelle, I couldn’t resist but look into more of Madeon’s music. I came across his remix of “Smile Like You Mean It” by The Killers and once again was blown away. I briefly mentioned in my last post that this kid is 16 years old, but I think it’s fair to go back to that point. 16! What was I doing when I was 16? Uhhh…not my homework. Probably still finding it cool to jump on my bed. I certainly wasn’t creating masterpieces, that’s for sure. Whatever, all jealousy and bitterness aside, this is incredible. I think I might go ahead and claim that this is my little brother. Or my child. That I apparently had when I was 7. The second one is creepier, so I’ll probably take that approach. Yeah. I have a 16 year old child. He makes crazy good music. Rumor mill!!!! !